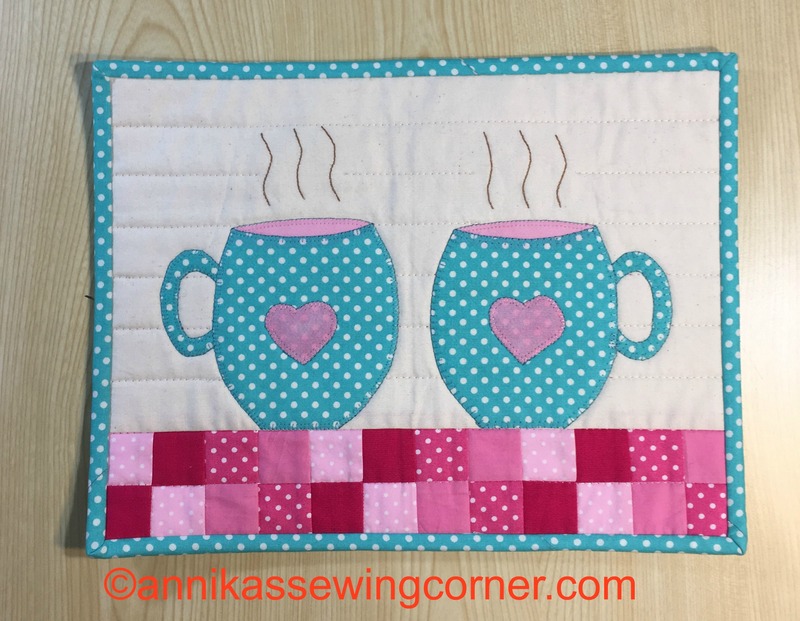 It is a mug rug or mini quilt and I have made a tutorial and a pattern for the applique. You can find them on my tutorials page or the tutorial here and the pattern here. It’s my first tutorial/pattern with applique that I have drawn myself. It is a easy and quick project and it is still time to make one before Valentines Day. I wrote two blog posts on raw edge applique last year, the first one is here and the second one you can find here. Happy Valentines Day and take care!